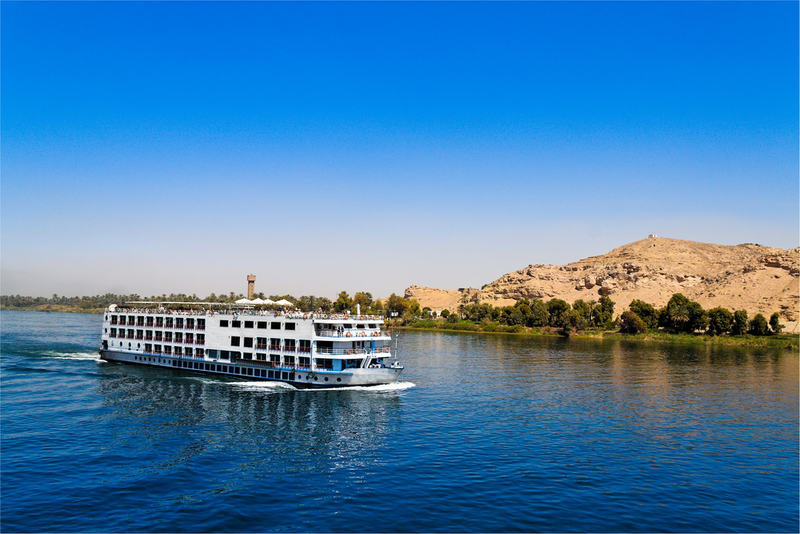 Cruising along the Nile in Egypt with Osiris Tours is the best way to view some of most iconic landmarks of ancient Egypt. 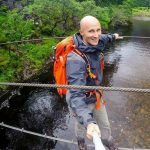 For many centuries travellers have sailed along the world’s longest river, past small fishing villages, towering monuments, ornate temples and fields of wheat and sugarcane. You’ll see landscapes that have changed very little since the Pharaohs ruled. Those who live along the banks of the Nile tend their land and sleep in mud brick houses just as they have done for 5,000 years. It’s a journey back in time to the past of this complex and fascinating nation. There are no modern yachts or large ocean liners on the wide and slow moving Nile – the boats here are sailing ships and traditional feluccas that elegantly glide through the waters. The journeys range from day trips to multi-day cruises and they can be anything from luxurious to basic and budget friendly. Dining aboard is usually a buffet for breakfast and lunch, with a selection of entrées served at dinner. Some ships will have a lounge where lectures, port talks and crew shows are held and there also may be performances by Nubian dancers and other local talent. The itinerary will vary depending on the tour, but there are certain must-see temples that nearly every trip will visit. 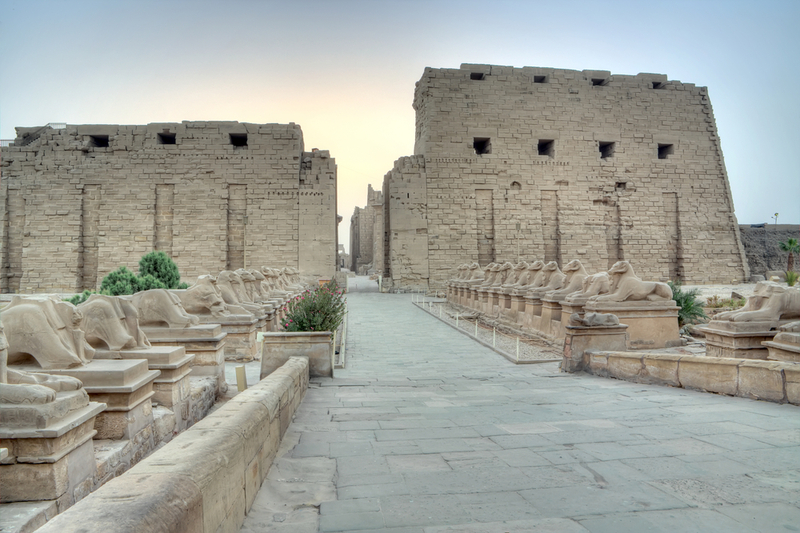 Here are some of the best temples and sights you can see along the banks of the River Nile. 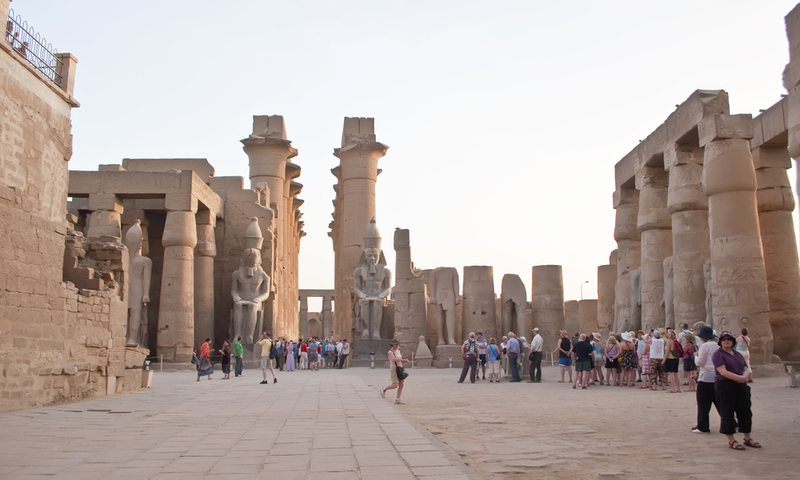 Most cruises and luxury Egypt tours will begin in Luxor and one of the first ports of call will be the Karnak Temple – a series of incredible carved pillars, walls and obelisks that feature highly detailed images of gods and creatures. This ancient temple was thought to be the earthly home of the sun god Amun-Re and it is covered in symbols and imagery, such as the ceiling that shows the night skies of Egypt filled with stars. The other main temple in Luxor is dedicated to Amun-Re and the entrance is guarded by two enormous figures of Ramses II. The beautiful carvings depict people who are performing acrobatics, beating drums, dancing and clapping – you can almost feel the energy. The bright and detailed paintings within the tombs of the ancient Pharaohs will take your breath away – they are much better preserved because they have been protected from the sun over the centuries. In this incredible valley you can visit all of the kings of Egypt’s past, including Ramses IX, Ramses II, Merenptah and of course – the famous boy king Tutankhamun. For the ultimate Egypt tours, stay in Cairo before you board your cruise and visit the Great Pyramids of Giza before you set sail. 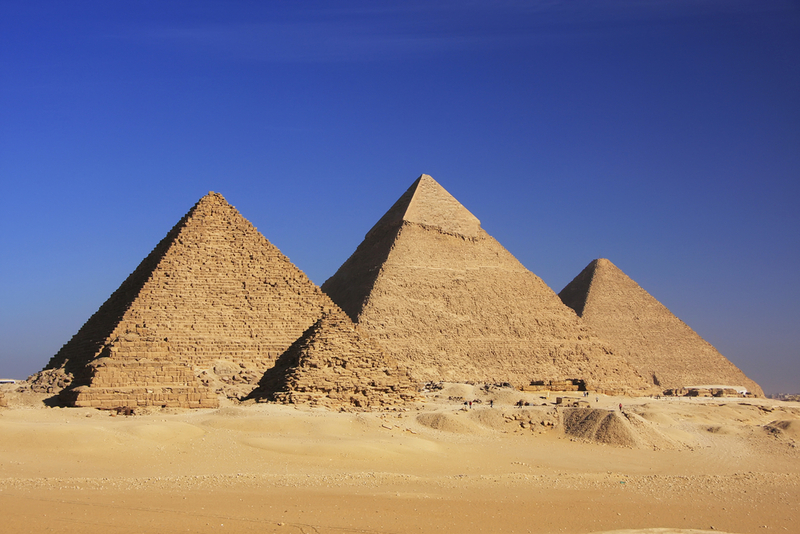 These are the most iconic of all the pyramids – the ones that set the standard for all that came after them. The largest of the three pyramids, Khufu, was built by one hundred thousand people for three months of every year and it took 20 years to complete! Is a Nile cruise in Egypt on your bucket list?